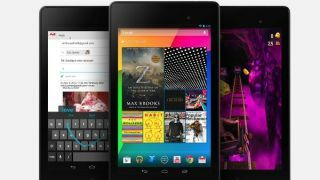 Google to ditch Asus for next Nexus 7? Could this be the last Nexus 7 by Asus? Despite having partnered with Asus for both this and last years Nexus 7, it looks like Google might ditch Asus for next years 7-inch slate. This latest rumour comes courtesy of Digitimes, which claims that Asus is trying to expand its share in the tablet market to make up for potentially losing the Nexus 7 contract. There's no denying that Asus is putting a lot of effort into its tablet business above and beyond the Nexus 7, with numerous devices released or on their way this year, such as the Asus Transformer Pad, MeMO Pad HD 7 and the PadFone Infinity. Still, Digitimes doesn't reveal what rumours it's referring to, so it's worth taking this with a pinch of salt for now. Back in July analyst Ming-Chi-Kuo claimed that next year's Nexus 7 might be handed over to LG so that Google could leverage the company's display technology, so it could be this which Digitimes is referencing. If it does find itself in the hands of LG, the 2014 model of the Nexus 7 could look quite different to the two we've had so far. Don't feel too bad for Asus though, as we've previously heard that the Taiwanese firm may take the reigns of the Nexus 10 from Samsung. We were rather fond of this year's Asus led Nexus 7. Read all about it in our full review.